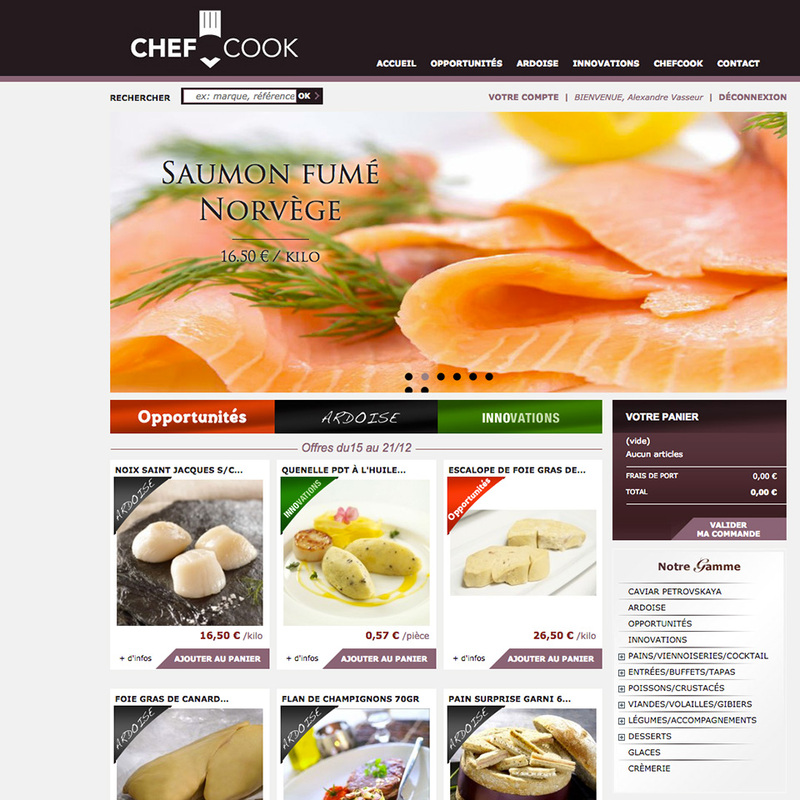 Conception of the online shop Chefcook for restaurant owners. Description Conception of the online shop Chefcook for restaurant owners. For this Prestashop based website, the aim was to set up an online shop with product highlights. The brand new home page shows the activity of Chefcook and a secure identification page was built to access the private sales. My role was to set the back-end up and to develop the addons (catalog, client, and stocks exportation). I also built the front end theme and the outside dynamic Prestashop home page introducing the different brands.